Frank Lloyd Wright was born in 1867 in Wisconsin and became the most influential and revolutionary architect from the last century. 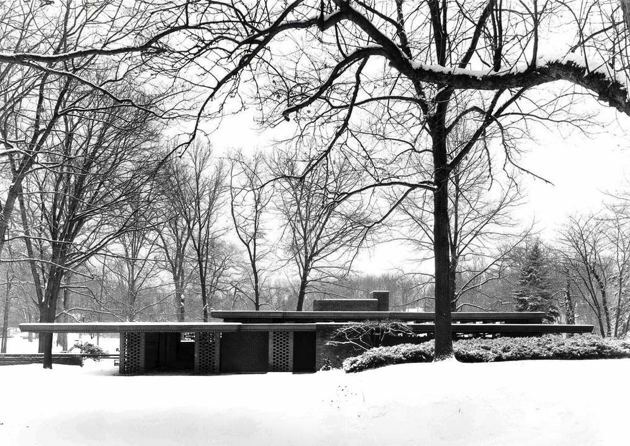 After his studies at the University of Wisconsin, Frank Lloyd Wright joined the office of the architects Dankmar Adler and Louis Sullivan. He opened his own studio in 1889 in the Chicago suburbs of Oak Park. The Winslow House -built in 1894 in River Forest, Illinois- was the first of the so called Praire House series that included the Willitts House(1902) in Illinois, the Martin House(1904), the Robie House(1910) in Chicago, and the Coonley House(1908) in Riverside, Illinois. Probably one of the most iconic Wright’s project is the Fallingwater House built in Pennsylvania in 1939. He built the house on a cliffside, over a spectacular waterfall. The last, but not least iconic, Wright project was the Guggenheim Museum in New York completed in 1959, few months before his death.